Geno’s Garage will make every effort to ship all expedited orders received by 3:00 p.m. (Eastern time zone) the same day. Orders received after 3:00 p.m. (Eastern time zone) will be shipped on the next business day. Expedited orders placed over the weekend or on a holiday will ship on the following business day. If you have any questions regarding this information, please call us at (800) 755-1715 or (770) 886-2500 between the hours of 8:30 a.m. and 5:30 p.m. (Eastern time zone). Our offices do not ship on Saturday, Sunday or over national holidays. NOTE – Expedited shipments are delivered on Monday through Friday. If you need Saturday delivery, you must contact us by telephone to make arrangements. Every effort is made to ship orders within 48 hours of receipt. Shipments should generally arrive within 7 – 14 business days depending on availability of the part(s) ordered and where you are located. We attempt to notify customers of backorders by email within 24 – 48 hours of receipt of the order. USPS First Class Mail delivers on Monday through Saturday and is limited by size/weight of package. USPS Priority Mail delivers seven days a week to most zip codes within the United States. FedEx Home delivers on Tuesday through Saturday. 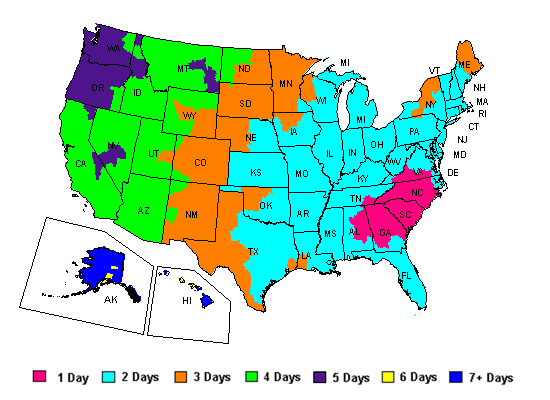 FedEx Ground (commercial deliveries) delivers on Monday through Friday. FedEx Expedited shipments deliver on Monday through Friday. For orders shipping to Canada, allow one to two weeks to receive your order after we ship it. Purchaser will be responsible for any brokerage fees, duties, taxes and fees incurred. If you are not satisfied with your purchase from Geno's Garage, feel free to return the item for a full refund of the purchase price of the item(s) returned. All returns should be made within 90 days of the purchase (as noted on the sales invoice). Returns should be packed in the original, unmarked retail packaging and should include all accessories, hardware, manuals, documentation and registration that may have shipped with the product. Damaged or improperly-installed items are subject to a 20% restocking fee. Complete the information on this form (PDF), and be sure to include it with your returned items. Include a copy of your original invoice, if available. Geno’s recommends that you arrange for appropriate insurance and electronic confirmation of delivery, when possible and appropriate.